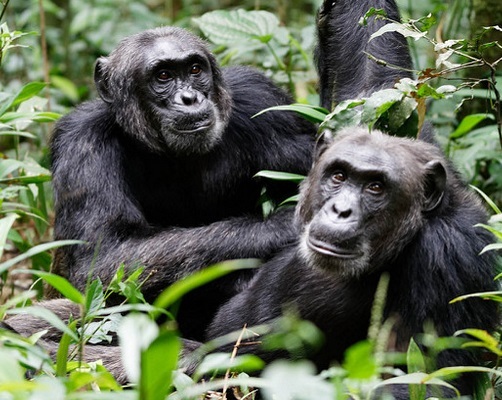 This 15 days safari in Uganda will take you to Murchison Falls for hiking to the top of the falls and wildlife viewing, Kibale forest for Chimp tracking anda Bigodi walk, Queen Elizabeth where you will enjoy game viewing and also Climbing lions in Ishasha, Bwindi Impenetrableforestto trek Mountain Gorillas, Lake Bunyonyi for sightseeing, Lake Mburo National park, and end with Jinja for rafting. 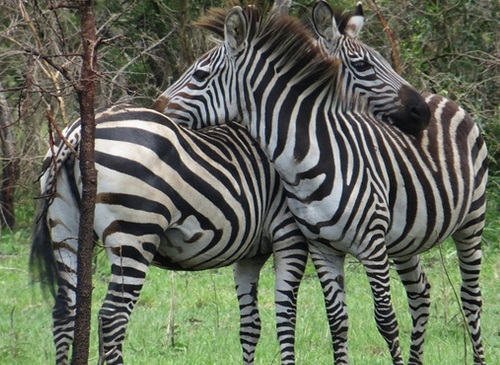 On this day, enjoy breakfast at the lodge and set out for a 2 hours game drive in Ugandas largest park with a variety of wildlife such as leopards, hippos, lions, warthogs, buffaloes, elephants, antelopes, giraffes, waterbucks as well as different bird species. 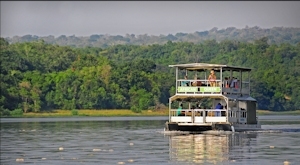 After the drive, drive to the lodge and have lunch, then have a 3 hours boat cruise on the Nile where you will see a number of animals along the banks such as elephants, hippos, crocodile, antelopes, and also monkeys and birds will be spotted along to, sail to the bottom of the falls where you will hike for about 1hour and 30 minutes after which you will return to your lodge for dinner and Overnight stay. 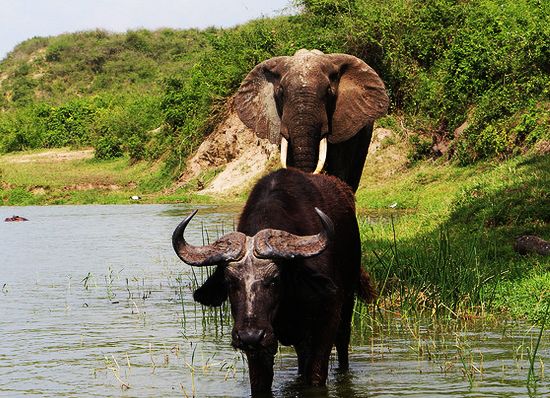 Immediately after breakfast set off for a 4 hours drive to Queen Elizabeth which is one of Ugandas outstanding wildlife National parks such as over 600 bird species, mammals like elephants, buffaloes among others. During the journey you will enjoy great views including the Rwenzori ranges. On reaching the park go for a game drive in the evening where you will see a number of animals. Dine and sleep at the lodge. Talk of gentle giants with a 98% DNA close to that of humans, its the Mountain gorillas which made Bwindi Forest their home. Also other species like butterflies, plants, primates, mammals, butterflies, frogs, among others are also found here. 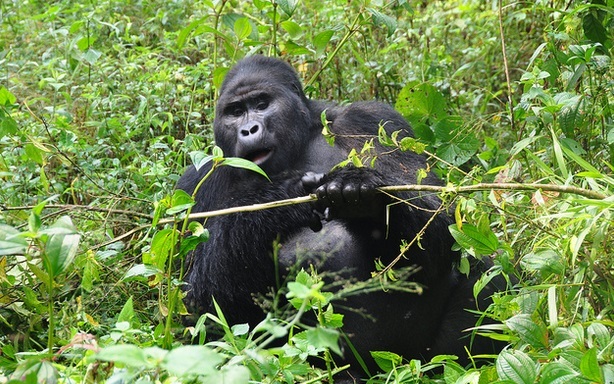 After briefing at the headquarters, you will be led by the rangers into the jungle to track gorillas. This experience usually takes 1 hour to about 8 hours since gorillas move differently also and only 1 hour is granted to capture your greatest moments with the gorillas. Enjoy an early breakfast, after do a game drive as you continue toKampala, have a stop at the Equator line; take photos and also buy some souvenirs from craft shop. Enjoy lunch still at the Equator or in Kampala depending on the time you arrive there. Safari Price includes: Lodging, Food, Chimpanzee permits, Park Entrance Fees, Gorilla Permits, English Speaking Driver, 4wheel Drive Safari Vehicle, Rhino tracking, Ranger guide during game drives, Ranger for trekking, water rafting, Bottled Drinking Water, Boat trips, Transport and all mentioned activities apart from the extra/optional ones. 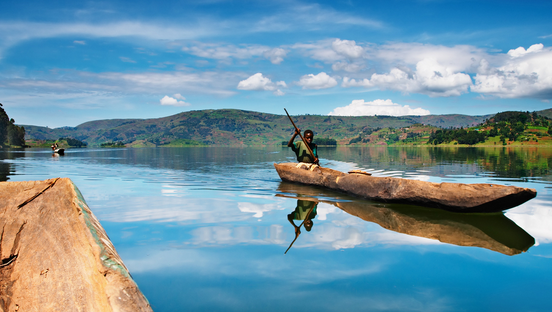 Not included in price: Air Travel fare, Uganda Visa charges, Alcoholic drinks, Laundry and Tips given to staff and guides, Insurance, and Extra activities.